Protecting the lands, waters and communities of the Coromandel / Hauraki from the toxic gold mining industry. The environment is the economy. 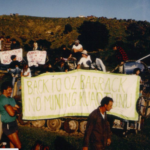 Coromandel Watchdog is a grassroots organisation which has been supporting communities, community groups and individuals, working with tangata whenua, lobbying politicians and opposing mining companies in Court and on the land since 1980. We work within Te Moehau to Te Aroha – the Coromandel Range. 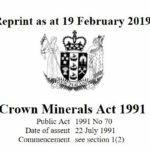 We are a grassroots group dedicated exclusively to ensuring that the beautiful and unique Hauraki Coromandel remains mine free. We work to preserve the ranges natural beauty and features, to save the range of indigenous species, many of whom are threatened, that live in the forests, the creeks and the landscapes of the Hauraki Coromandel and to ensure that this special place is here for future generations of flora and fauna – including our mokopuna and theirs! We know that there is the metal ‘gold’ in those hills – and we also know that there is much more valuable nonmetallic gold above ground – in our landscapes, our biodiversity, our communities! We love our lands, rivers and ocean, our lifestyles, our livliehoods – and we know that industrial gold mining would compromise all of that. The Hauraki Coromandel is simply too precious to mine.